Posted April 20, 2017 by Noelle McGuire & filed under Articles. Skin is the largest and fastest growing organ in the human body and, since it is the most visible portion of our bodies, we all strive to make ours as presentable as possible. Unfortunately though, while we concentrate greatly on the attractiveness of our skin, we can sometimes forget to concentrate on improving the health of our skin, and that the two are not always one in the same. Given the summer months are just around the corner, it’s a great time to look at just what we can do to make our skin as healthy as possible. 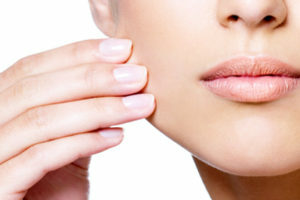 To understand the importance of skin health, it’s important to remember that skin is not merely an aesthetic feature. Human skin plays a number of vital functions in the body such as temperature regulation, protection of internal organs, temperature and pressure sensation, and even Vitamin D production. The importance of it is exemplified by the sheer volume of it, as it accounts for roughly 15% of our body weight. When it comes to maintaining and caring for your skin, there are many intensive and specialized treatments that target different areas and conditions of the skin with a great deal of effectiveness. However, for those who do not have the time or resources, there are also many simple and easy practices we can use to prevent skin conditions as well as delay the natural aging process. First and foremost is protecting your skin from sun exposure. While many think a good tan looks great, long term UV ray exposure can cause wrinkles, dark spots, and increase the risk of skin cancer. Wearing a sunscreen with an SPF of at least 30, reapplying the sunscreen after swimming, staying away from the tanning booths, and covering the skin at peak sunlight hours can help to protect and preserve the vitality of your skin. Much like all other aspects of our health, what we put into our bodies also greatly affects the overall health and appearance of our skin. A balanced diet low in refined carbohydrates and high in healthy fats as well as fruits and vegetables can provide the skin with vital nutrients needed to maintain overall health and vibrancy. Nutritional supplementation can also be beneficial, as supplements such as omega-3’s, probiotics, and vitamin D3 can not only improve skin health, but also may help to alleviate symptoms associated with some common conditions such as psoriasis and eczema. In addition, smoking can deplete the skin of oxygen and nutrients as well as destroy collagen and elastin which give the skin its elasticity and strength. And of course how we treat the skin itself is important. Performing regular skin checks for irregular growths can be vital in detecting potential concerns. Avoiding harsh soaps and detergents, shaving carefully with clean sharp razors and proper lubricants, and limiting excessive bathing times to avoid removing healthy oils can help to improve skin health. Regular use of moisturizers and cleansers can also lead to significant benefits, but it’s important to note that not all cleansers and moisturizers are equal, and those made by quality companies such as Caudalie, Hauschka, and Jack Black, are designed to be effective yet gentle on the skin. Despite our best efforts, various skin conditions may pop up from time to time and require treatment. Acne, eczema, psoriasis, rosacea, melasma, and even the common wart can present unwanted changes in the skin’s appearance. When these occur, there are many tools at our disposal to treat these types of conditions and improve the look and feel of our skin. Because of the scope and depth of treatment options for each of these conditions, it is impossible to describe them each in detail. In general though, there are many effective manufactured prescription products to treat each of these conditions. Acne is often treated with topical or oral antibiotic therapy, or with agents such as benzoyl peroxide or tretinoin. Eczema and psoriasis are often treated with a variety of topical corticosteroids which help to reduce the flare up of inflammation on the skin. Melasma is often treated with skin lightening creams that contain several ingredients such as corticosteroids and bleaching agents. And the common wart is often treated with over the counter products such as salicylic acid, which help to “burn” the wart off the skin. While these prescription options often work well, sometimes conditions of the skin can be stubborn and may not respond to traditional therapies. In these instances, specialty compounding pharmacies, such as Pine Pharmacy in Williamsville, are often enlisted to prepare specialty combinations of various ingredients that help to improve outcomes. Compounded medications can help in these types of situations in a variety of manners. First, various ingredients can be combined into single dosage forms which potentially provides a better effect, such as stronger topical treatments for warts than what is typically available over the counter. Additionally, non-traditional medications that are not readily available commercially can be specially compounded. For example, in the treatment of acne, for those patients who like to take a more natural approach, compounded topical vitamin treatment with niacinamide, a form of vitamin B, may provide a better option than more traditional medications. Compounded medications can also be mixed in specialized bases that are specifically designed to have internal properties that improve certain conditions, thus potentially increasing the success of the overall therapy. Perhaps one of the biggest benefits to compounded medications comes at the cash register. The cost of skin care medications can be a point of concern for many patients, and understandably so. Unfortunately, recent trends in the medication market have seen prescription costs skyrocket, and dermatological products are often some of the biggest culprits, especially if the medication is not covered by insurance, or a patient has a high deductible to meet. In many instances, compounded medications are covered by insurance, and when they are not, they present patients with options that are a fraction of the cost of their commercially available alternatives. For just one example, traditional commercially available skin lightening options can cost upwards of $200, whereas compounded options may cost $75 to $100. Given your skin’s vital role in maintaining your health and appearance, the importance of maintaining its health cannot be understated. Take extra time this summer to improve your skin health practices, and to look into treating any current issues. Keep in mind, beautiful skin isn’t always healthy, but healthy skin is always beautiful.